Blockbuster season is year round now and we are fast approaching the release of one of the year’s biggest films, Warner Bros.’ Tomb Raider. This film possesses some encouraging ingredients that could make you think that our long nightmare of terrible video game movies is about to end. 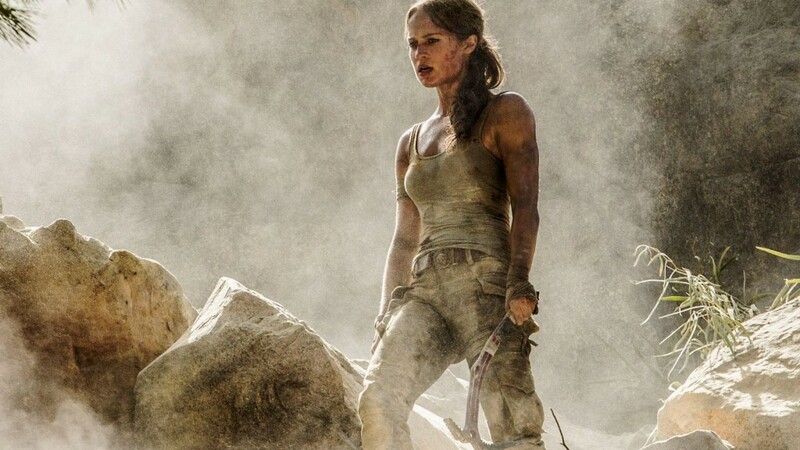 A new trailer for the film has been released, and it gives us the best look so far at this new Lara Croft and teases more of the story, more emotion and more action. Take a look below. 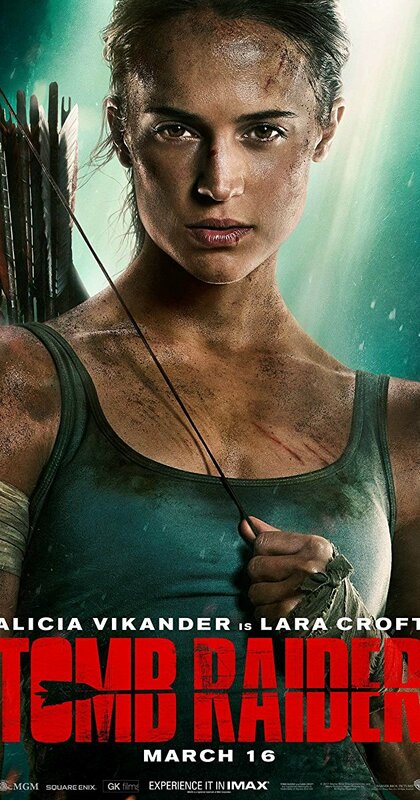 I like that the first 30 seconds or so of this Tomb Raider trailer focuses on who Lara Croft was before she set out on adventure and became the eponymous Tomb Raider. Lara’s relationship with her father is critical to the film because we get to see how adrift she is after his disappearance and how her love for him drives her to set out into the unknown. Alicia Vikander is an Oscar-winning actress, so hopefully she can bring the emotion and physicality this role needs. While talented actors alone don’t make a movie good, it certainly doesn’t hurt and she looks awesome here doing her best Katniss Everdeen impression. I’m excited about Walton Goggins as the villain, but we don’t get a lot of him here. He is also much more reserved and chewing far less scenery than I expected. I guess after Justified, The Hateful**Eight and Vice Principals, I am sort of conditioned to expect a boisterous performance out of him. The Tomb Raider trailer also teases a bit of the film’s story beyond just Lara getting shipwrecked while searching for her father. Apparently there is an organization called Trinity that for reasons unknown is aiming to start a global genocide. Lara’s father posthumously(?) tasks her with stopping them. Wow, thanks, Dad, no pressure! Those are awfully high stakes for an origin story. There is also a bit of the puzzle solving the video game is known for, as there are a few ancient-looking trinkets that must play an important role. There is definitely an element of mystery to the film. My only worry is that situations like this can fall into familiar tropes in the genre with the villain forcing the hero to solve a puzzle or lead them to the treasure (National Treasure, Tomb Raider: Cradle of Life). Hopefully this film will surprise us by doing something different with this trope. The trailer also teases a few really fun-looking set pieces on this dangerous island that Lara has to survive. I do have some concern that a few of the moments in the trailer look a little too CGI-y, but overall this looks like a down and dirty, brutal wilderness adventure. The reboot is clearly drawing a lot of inspiration from the 2013 video game reboot of the series, but should appeal just as much to fans of the Uncharted series or the Indiana Jones films. 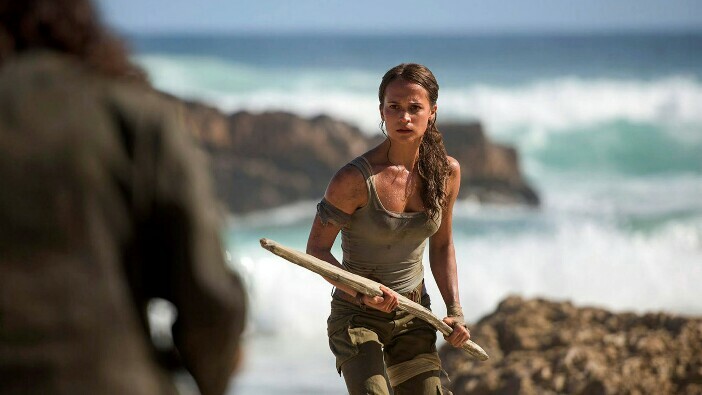 Tomb Raider is directed by Roar Uthaug and stars Alicia Vikander, Walton Goggins, Dominic West and Daniel Wu. Will this be the one? 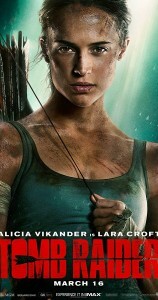 Will Tomb Raider finally end the drought of good video game movies and enter us into a golden age of game to film adaptations? Maybe, but we’ll have to wait until March 16 to know for sure.